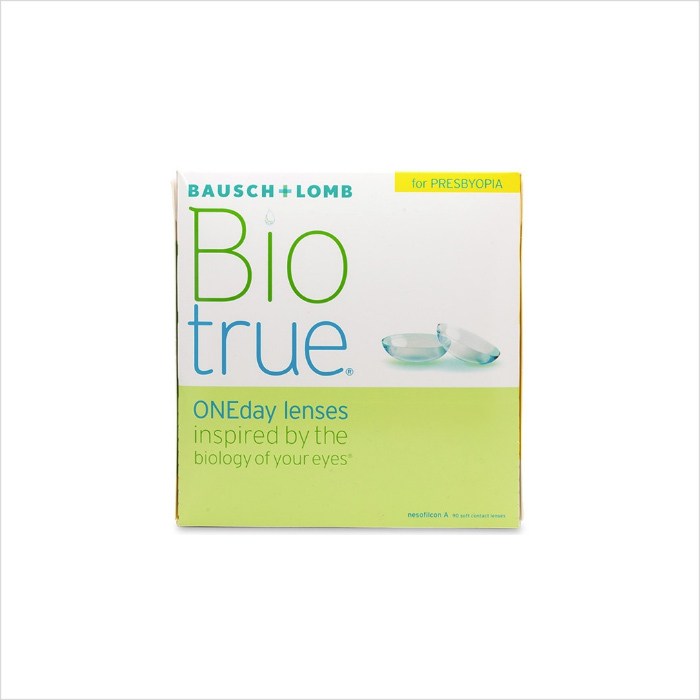 The BioTrue ONEday for Presbyopia 90 pack contact lenses offer unparalleled clarity and comfort. The BioTrue ONEday for Presbyopia 90 pack contact lenses offer unparalleled clarity and comfort. These multifocal lenses feature an exclusive 3-Zone Progressive design with high definition optics to provide clear, crisp vision for reading, distance, or in-between. For more comfortable all-day vision, BioTrue’s superior technology matches your eye’s moisture levels and mimics the natural production of healthy tears to keep your lenses from ever feeling dry.